In competitive sessions of the board game Monopoly it is always difficult to decide how much you should sell your properties for. There is little doubt that the bank prices for the deeds to the different lands vastly undervalue the true worth of the property. But what is the true value of the place? How much should you be willing to buy or sell it for? Centives decided to find out. Centives drew upon the research of Truman Collins to construct a calculator that could estimate the true property value of the spaces in Monopoly. The true property value should be the amount of income you would expect to earn from that property over the course of the game. If, for example, you expected to earn $1,000 from the property by the end of the game, then you would be indifferent between holding onto that property, and selling it for $1,000. Either way you would gain the same amount of money. The amount of income you would expect to earn from a property depends primarily on two factors. The first is the number of opponents you are facing in the game. The second is how many rounds the game is going to last. With this information you can come up with a mathematical expectation for the income you would receive from any particular property. Centives created two versions of the calculator, a basic one and an advanced one. The biggest weakness of both versions of the calculator is that they require an estimate of how many rounds the game will last. Experienced players will know that this is notoriously difficult in a game where the record for the longest game played is a session that lasted over two months. However players can put in a range of values to get a general idea of how much income they should expect to earn from their lands. The calculators take into account all rules including Chance and Community Chest cards, as well as triple doubles sending you to prison. The calculators currently support US, UK, and Commonwealth versions of the game, although the $ currency will be displayed in all. To use the Basic Monopoly Property Value Calculator click here. 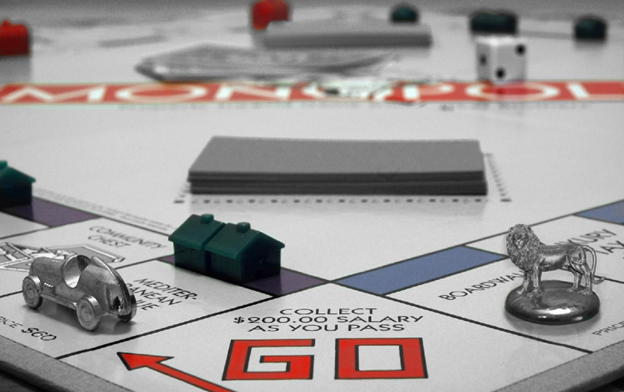 To use the Advanced Monopoly Property Value Calculator click here.